This is the kind of “health food nut” subject that devoted followers of American poison-eating seize upon: it is just possible (just possible) that eating hemp protein could make you fail a drug test. This should make people who are already killing themselves slowly with junk food (thereby investing in a family plan to be burden to any children they might have) find yet another reason to continue to defile and insult themselves. What’s behind my fictional concern is the so-called War on Drugs. This is a war that actually has an answer for the question: “What does sprinkling hemp protein powder in my morning fruit shake have to do with government countermeasures for narcotics trafficking?” This is yet another example of how you can be penalized for trying to take care of yourself in this great nation under god. Let’s say that some evil, multinational corporation (Monsanto) wants to take out the independence of yet another small business like, say, Nutiva. 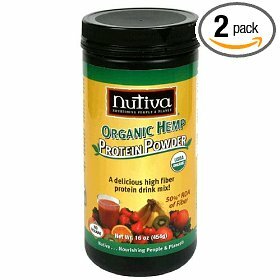 All the evil guys have to do is sabotage the hemp source with crazy amounts of the “wrong” bits of hemp and make some stooge fail a drug test—and then hit Nutiva with a lawsuit. What am I smoking you ask?